There is very little open source information on this facility. There is some confusion regarding the administrative control of this laboratory. Some sources place it under the Academy of Sciences or the Academy of Defense Sciences. However, the Academy of Sciences is under the direction of the cabinet, and the Academy of Defense Sciences is now known as the Second Natural Science Academy. Since the latter is responsible for all weapons R&D in North Korea, it is reasonable to assume the Central Analytical Laboratory is under the administration of the Second Natural Science Academy. Osamu Eya, Kimu Jon Iru Daizukan (Tokyo: Shogakkan, 2000), pp. 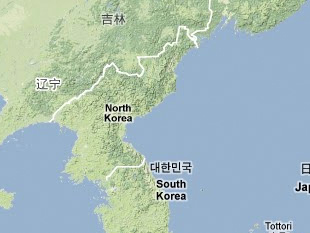 64-65; "Alleged Locations of DPRK Nuclear, Biological, Chemical Warfare Facilities Mapped," 6 June 2001, FBIS Document ID: KPP20010606000075. "Kwahakwŏn," Chosun Ilbo Shisabaekkwa, http://nk.chosun.com. "Che 2 Kyŏngjewiwŏnhwoe: 99 Ho Sojo," Chosun Ilbo Shisabaekkwa, http://nk.chosun.com. "Haengjŏng Kuyŏk: Kae'p'yŏn'ilji," Chosun Ilbo Shisabaekkwa, http://nk.chosun.com.